Companies arrived to heavy fire showing from the rear porches of 27-29 Vermont St. The heavy fire would also involve the attic of the "B" exposure, the multibay garage and a cr on the "C" exposure, ans threaten the occupied multiple dwelling on the "D" exposure. A request for 2 addditional engines was made as all hand were working. 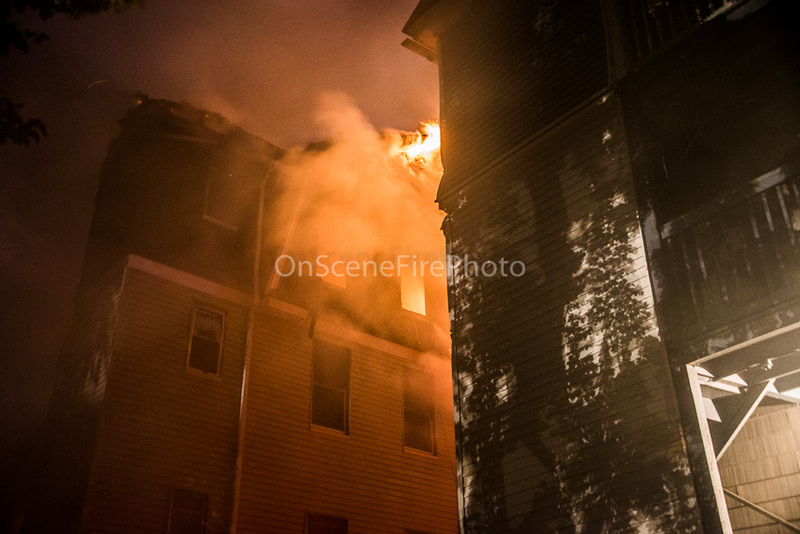 The exposure were knocked down quicklybut due to structural collapses companies would be on the scenefor over 4 hours working the main fire building. They would also have to return to the scene for rekindles as it was imposssble to get at the debris pile in the rear dur to collape issues.